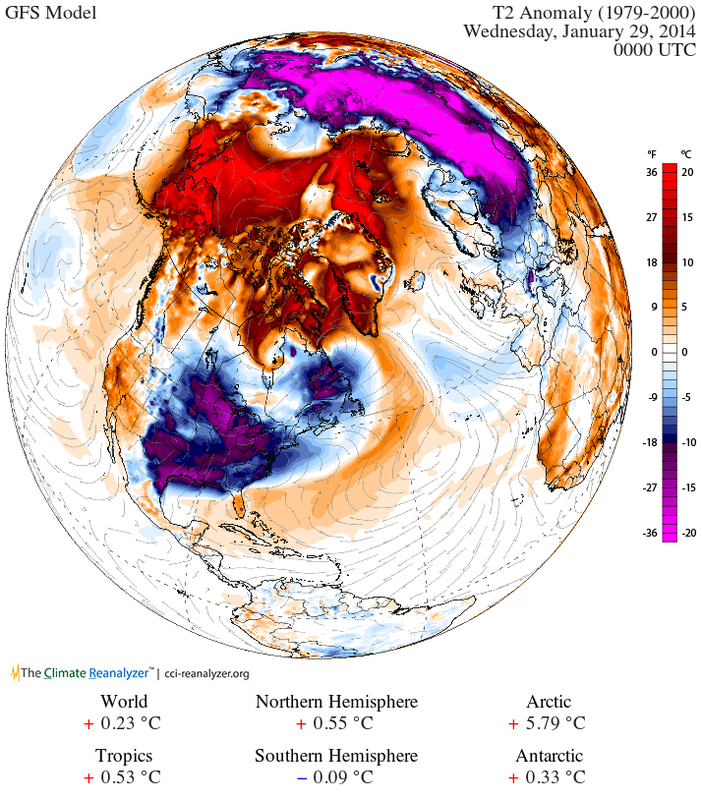 If the Arctic is the northern hemisphere’s refrigerator, then the freezer door has been opened wide, with frigid air draining into USA/Canada/Eurasia, and unusually warm air rushing into the Arctic. 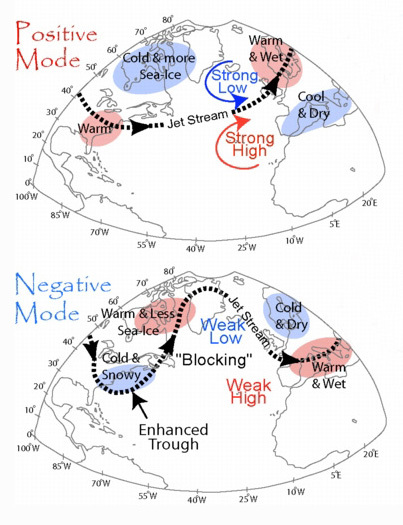 There is evidence connecting sea-ice loss to the more severe and extreme weather patterns in Europe and North America, consistent withresearch from the US National Oceanic and Atmospheric Administration (NOAA). As Arctic melting and warming destabilize the jet stream and making it more “wavy”, it allows frigid air to plunge farther south. As the jet stream waves become larger, they slow down or even stall at times, leading to a significant increase in so-called blocking events, such as the current stalled cold front. These cause extreme weather simply because they lead to unusually prolonged conditions of one type or another. How come our worthy leader Tony Abbott cannot understand all this, what with being a Rhodes Scholar and all that? Because a letter from a kindly right-wing Priest and a skill at punching gets you a Rhodes Scholarship. Not to mention being on the right side of ‘the national interest’.